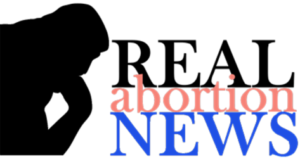 CompassCare – Page 33 – Erasing the need for abortion! What about sharing the gospel? Listen as Jim Harden discusses the strengths of the pregnancy resource center movement in America. Michelle Sullivan, CEO of a medical PRC in Omaha, NE talks about how introducing a linear service model for patients has helped to make them much more effective and focused at reaching 3X more pregnant women seriously considering abortion. Executive Becky Wood of ABC Women’s Clinic in Dublin, GA talks about how CompassCare’s linear servcie process call the Optimization Tool has helped their organization to serve more women seriously considering abortion more effectively. Should we add STD testing to our services? Why wait to perfrom an ultrasound scan until after 6 weeks LMP?